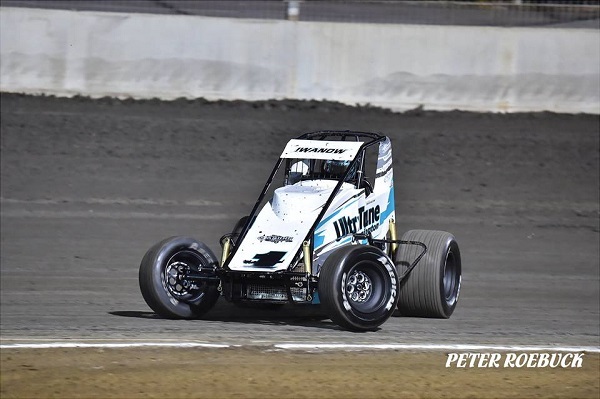 The Australia Day long weekend is gearing up to be a massive one for the WA Wingless Sprints, who are set to contest their Western Australian Title, which incorporates the Des Nash Memorial, at Kalgoorlie International Speedway this Saturday and Sunday night. With a strong field of over 20 drivers in attendance, it’s anyone’s guess who will clinch the state title honours, but after storming to a convincing victory in last season’s running of the event, all eyes will be on defending champion Matthew Iwanow as he attempts to score back-to-back wins. Making a cameo appearance aboard the Trevor Jolly-owned WA # 18 car former Wingless Sprint regular and three-time champion of the event Tom Payet is sure to keep things interesting, particularly seeing as though it was Iwanow who denied him of adding a fourth Western Australian Title to his resume last season. Both Pittard Racing teammates Chad Pittard and Ash Hounsfield have tasted feature-race success this season and they will be likely contenders to take the fight to Iwanow and Payet. With Hounsfield placing fifth in last season’s running of the event ahead of Pittard in seventh, the drivers will be looking to share the podium following Sunday night’s feature race. Having greeted the podium on numerous occasions this season, including an early feature-race win at Narrogin Speedway back in October, fast-paced Brendon Wedge will be looking to deliver a consistent run throughout qualifying in order to start towards the front of the feature-race field, as will Kwinana Cup winner Nathan Walton. Racking up no less than six podium finishes this season, one of which included a feature-race victory at the Perth Motorplex, Daran Humfrey can’t be discounted, along with former WA # 3 Matthew Fellowes, who be hoping to crack into the podium positions. Mixing it with Hounsfield and Humfrey earlier in the season, both Brad Fitzgerald and Brad Taylor will be vying for a top-five position, as will Cameron Holla and David Worrall. Other nominations include Alex Robinson, Blair Goodall, Tommy Britton, Jake Robinson, James Bissaker, Tyson Bryden, Cody Dobinson, Travis Sharpe, Street Stock racer Hamish Macalpine, Mathew Burston and Warren Hunter. The Western Australian Title format will see drivers contest two rounds of 10-lap heat races and a 30-lap preliminary feature race on Saturday night, before contesting the final two rounds of heat races and the 30-lap Western Australian Title-deciding feature race on Sunday night.